As the year naturally unwinds and comes to an end, and the advent of a New Year looms ever closer, we take a retrospective look back at the year that was 2017. 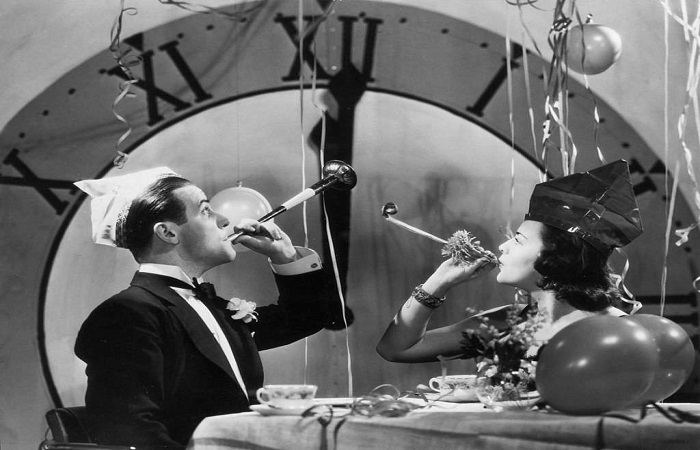 We’ll reminisce at the highlights, the bloopers and blunders, as well as the more emotional moments that made for a year of, fake news, data-hacks, unruly behaviour by middle-aged, privileged white upper-class men (yes, it’s actually ok to say that these days! ), grime went mainstream and the gender pay gap was revealed at the Beeb! There was confusion all around as Warren Beatty and Faye Dunaway announced the wrong best picture winner at the 2017 Oscars- saying ‘La La Land’ had won when Moonlight was the actual winner! Diane Abbott’s struggles to explain Labour’s new policy of recruiting an extra 10,000 police officers. 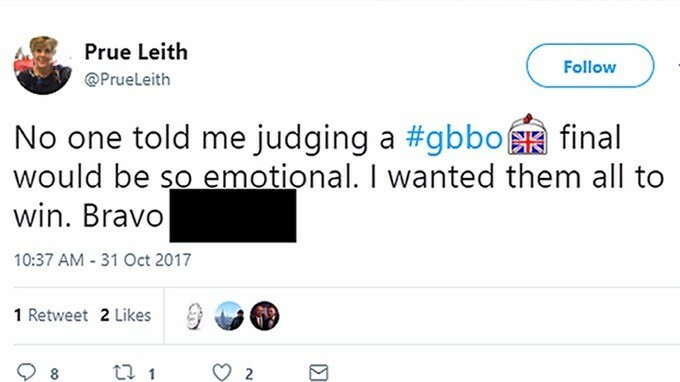 The GBBO judge shared a post revealing the winner of The Great British Bake Off final when it was yet to air – but then quickly deleted it – doh! It’s not the first time a Bake Off result has been accidently revealed, with Mary Berry inadvertently letting slip that Dorret had been sent packing in week three back in 2015. 4. Theresa May’s speech turns into a living nightmare! Theresa May’s Tory party conference speech turned into a comedy of errors when she suffered repeated coughing fits, a protester handed her a P45 dismissal notice, and the stage set began to fall apart behind her. Krispy Kreme UK created a buzz in London when it announced plans to hand out 36,000 free doughnuts to celebrate its new partnership with food delivery app UberEATS. Nothing rallies Londoners like free food but when the app crashed unable to cope with the demand, doughnut fans across the city were denied their sweet treat. Unsurprisingly a barrage of cranky and hilarious Twitter complaints shortly followed this marketing meltdown. 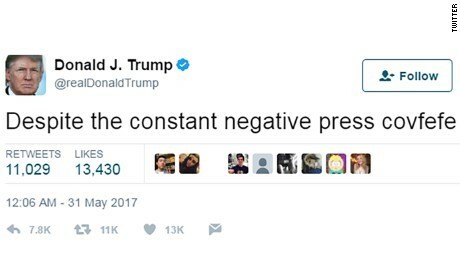 What’s ‘Covfefe’? Means coverage apparently?! Bell Pottinger’s co-founder Tim Bell tells BBC’s Newsnight the racism row in South Africa ‘almost certainly’ means the end for the firm, but declines to take any responsibility for it. The agency has been expelled from the UK public relations trade body after an investigation found its work on a secret campaign to stir up racial tensions in South Africa to be the worst breach of ethics in its history. The BBC’s director general Tony Hall responded to a letter from 45 high-profile women presenters and journalists calling on him to “act now” to deal with the gender pay gap at the organisation. Has the pay disparity been there as long as women have been broadcasting and what are the possibilities for legal redress? Journalists asked Boris Johnson if he would like to apologise for some of the less diplomatic comments he has directed at world leaders over the years following his first press conference with US Secretary of State John Kerry on Tuesday. Johnson admitted there was a “rich thesaurus” of remarks but said it would take far too long “to engage in a full global itinerary of apology”. The BBC experiences an embarrassing technical problem moments after revealing Mo Farah as the BBC Sports Personality of the Year 2017 on LIVE TV!